Welcome to Filegonia Cattle Co.
FILEGONIA CATTLE COMPANY was established in the Lower Rio Grande Valley of Texas in 1991 and moved to the rolling blackland hills of Central Texas in the fall of 2008. Our objective has always been to produce top quality Simbrah cattle, both purebred and composite that combine the best of all breeds involved including Simmental, Brahman, Red Angus and Angus. Fertility, calving ease, growth, early puberty, excellent carcass potential and high feed efficiency are characteristics that we strive for in our cattle. 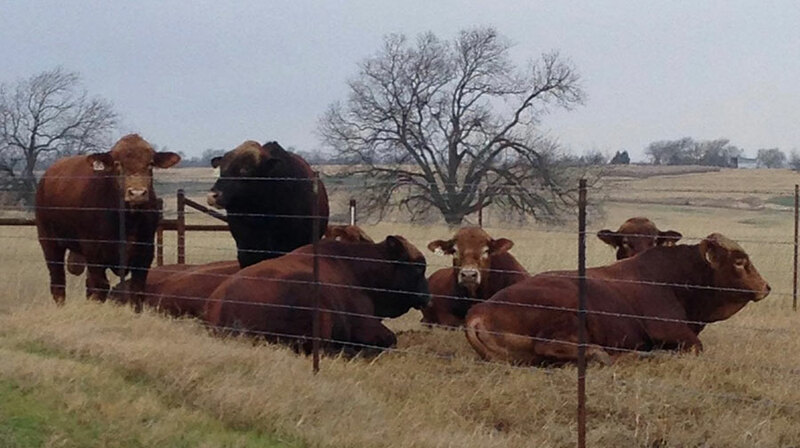 We produce both red and black heat adapted cattle with Simmental influence. The cattle operation began with the purchase of sixteen open Brahman cross and Red Brangus heifers and has evolved into one of the primary sources of performance tested Simbrah and composite Simbrah genetics. We concentrate on identifying cattle in our own herd, and in utilizing genetics from the herds of other progressive breeders that combine balanced growth and maternal traits with above average carcass data. 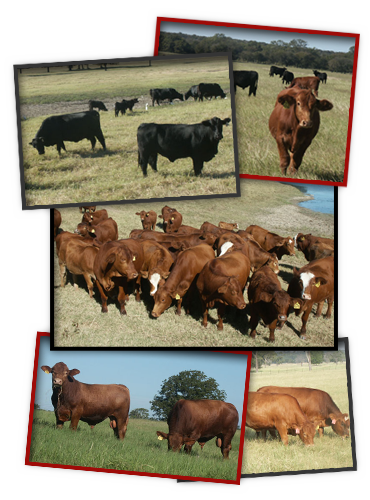 We produce SimAngus™HT, SimAngus™, Simbrah and Simmental cattle with the commercial cattleman’s needs in mind. We place great importance in those traits that make our customers profitable such as calving ease, polledness, color, disposition, fertility, balanced growth and milk EPD’s as well as above average carcass potential. Performance testing, ultrasound, DNA testing and reporting data using the American Simmental Association’s Total Herd Enrollment program are some of the tools that we utilize in our operation. More information about our Herd Bull Prospects and Replacement Heifers is available on our Cattle For Sale Page.